Don’t misunderstand. I’m not suggesting that the computer coders who created spellcheckers had malevolent intentions. They are not rubbing their hands and cackling deviously about the thousands of naively trusting students who are annually penalized for misspellings in their papers. I’m sure they intended to create a helpful tool. And it is helpful. Really. I am thankful for spellcheckers and use them often to catch typos and plain old sloppiness. In fact, I just ran it on this article (wasn’t so sure about malevolent, naively, or misspellings). It’s just that there’s no way for a computer program to account for homophones — words with different definitions and different spellings that sound the same. There are other problems too. 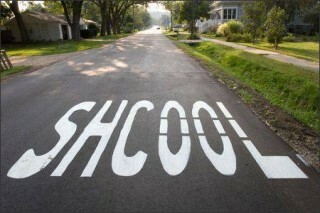 Sometimes the word you misspell is still a correctly spelled word — just not the one you meant. A spellchecker doesn’t understand context, so if you mean to say I hate your shoes, but accidentally type I hat you’re shows, it will just nod and smile instead of inserting some helpful red squigglies. I found the poem below while researching a series of posts on homophones. It was written by a college science professor at Northern Illinois University who apparently got sick of penalizing students for mispellings that spellcheckers overlooked. It’s available on various sites, but as far as I can tell it was originally published here. By the author’s count, 127 of the 225 words of the poem are incorrect (although all words are correctly spelt). Published in the Journal of Irreproducible Results, Jan/Feb1994, page 13. Reprinted Vol. 45, No. 5/6, 2000,. Like this post? Take a moment to share it by email, or on Facebook, Twitter, Pinterest, or StumbleUpon. Check out the amazing tutorial writing classes we offer at WriteAtHome! We’ve been helping teen writers improve their writing in an encouraging, positive environment for more than a decade. Best wishes, Eric, retired journalist in Sydney, Australia. Thanks for linking to your article. It’s a good one that raises important questions. I’m glad I got the poem and attribution right. I do my best to attribute and provide links to original sources when I post other peoples’ work. Do you think I should have sought Dr. Zar’s permission before posting? I guess I operate under some assumptions in the blog world (as long as they link back to my blog, I don’t care who publishes my stuff), but I don’t want to contribute to the intellectual property anarchy you describe. I subscribed to your blog too! Spellcheckers are a double-edged sword. The trick is knowing when to use them.